Amended by General Meeting, November 5, 2018. The Club shall be known as the Kanata Cross Country Ski Club. Alternatively, it may be referred to using the shortened form: Kanata XC Ski Club. The object of the Club shall be to encourage and promote cross country skiing through instructional, recreational, training and competitive programs and the development and maintenance of cross country ski trails in the Kanata area of the City of Ottawa. The Club shall be a notforprofit organization based in the Kanata area of the City of Ottawa. The Club shall be a member of the National Capital District of Cross Country Ontario, and thereby shall be affiliated with Cross Country Canada. In the event of dissolution of the Club it is specially provided that all its remaining assets after payment of liabilities shall be distributed to a club of like character in the National Capital District. This Constitution shall become effective upon affirmation by a two-thirds majority of the Adult Members present at a General Meeting. This Constitution may be amended by a twothirds majority of the Adult Members present at a General Meeting. Any amendment shall be proposed at least two weeks in advance of such General Meeting, and all members shall be notified of the proposed amendment in a notice of the meeting distributed one week before the General Meeting. The By-Laws of the Club shall be those attached to this Constitution until repealed, amended, or added to. The ByLaws may repealed, amended, or added to at a General Meeting by a simple majority of the Adult Members present. Adult Membership: Adult Membership shall be granted to any person 18 years of age or older upon payment of annual dues or program fees. Honorary Membership: The Executive Committee may grant Honorary Membership to any person. Youth Membership Youth Membership shall be granted to any person under 18 years of age upon payment of program fees. The date of payment of annual dues or program fees until December 31st of the same calendar year, if payment occurs between January 1st and September 30th. Dues and Fees Annual dues and program fees shall be fixed annually by the Executive Committee. Executive Committee: Except as otherwise provided in these By-Laws, the affairs of the Club shall be managed by the Executive Committee. Composition: The Executive Committee shall consist of four Officers and ten Coordinators of sub-committees. The four Officers shall be the President, Vice President, Secretary, and Treasurer. The ten Coordinators shall be Jackrabbits Coordinator, Track Attack Coordinator, Racing Coordinator, Masters Coordinator, Membership Coordinator, Trails Coordinator, Events Coordinator, Volunteer Coordinator, Facilities Coordinator, and Promotion Coordinator. All Officers and Coordinators shall be Adult Members. Past President: The Past President, if not an Officer or a Coordinator, shall be an ex-officio member of the Committee. Nomination: Any Adult Member may nominate an Adult Member, including him or herself, to stand for election as an Officer or a Coordinator or both. Election: The Officers and Coordinators shall be elected by ballot at the Annual General Meeting from a list of the Adult Members nominated. Term: All Officers and Coordinators shall assume their duties within fifteen days of their election. resolution of the Executive Committee removing the member for cause. Such resolution shall require a vote of not less than two-thirds of the Committee members, at a meeting of the Committee duly called for that purpose. Filling a Vacancy: Any vacancy occurring on the Executive Committee, except the office of President, shall be filled by an Adult Member appointed by the Executive Committee. Should a vacancy occur in the office of President, the VicePresident shall become the President for the duration of the term. Executive Committee Meetings: The Executive Committee shall meet periodically and sufficiently to conduct the business of the Club. The President shall call a meeting of the Executive Committee when requested by a majority of the Executive Committee members. Quorum: Five members of the Executive Committee shall constitute a quorum for the transaction of business, provided that in the absence of both the President and the Vice President, so long as five members of the Executive are present, of which one shall be one of the remaining officers, (either the Treasurer or the Secretary), then the Treasurer or Secretary shall serve as Chair of that meeting. Prohibition of Compensation or Profit: Executive Committee members shall receive no compensation, either directly or indirectly for acting as such, and shall not receive either directly or indirectly any profit from their office. President shall preside at all meetings of the Club and of the Executive Committee and shall represent the Club on all appropriate occasions. Vice President: The Vice President shall perform all duties of the President in the absence of or on behalf of the President. Secretary: The Secretary shall record the proceedings of all meetings of the Executive Committee, in the form of minutes, which shall be read for approval at the subsequent meeting. The Secretary shall also be responsible for the general correspondence of the Club and for maintaining a file thereof. Treasurer: The Treasurer shall keep and maintain full accounts of all receipts and disbursements in books belonging to the Club, provide an annual budget, provide financial advice and keep deposits of Club funds. The Treasurer shall provide a detailed report at the annual general meeting and report the financial state to executive committee as necessary. Fiscal Year: The fiscal year of the Club shall be from April 1st in any calendar year to March 31st of the following year. Execution of Documents: Contracts, documents or any instrument in writing requiring the signature of the Club shall be signed by the President, or the Vice President on behalf of the President, and one other member of the Executive Committee. All contracts, documents and instruments in writing so signed shall be binding upon the Club. Annual Budget: The Treasurer shall prepare an annual budget to be approved by the Executive Committee. Limits on Expenditures: Club funds shall only be used to further the object of the Club. Any proposed expenditure from reserves that would exceed the amount budgeted for such an expenditure shall be approved in advance by the Executive Committee. Any proposed expenditure that would exceed $5,000.00 shall be approved in advance by the membership at a General Meeting. Notice of such proposed expenditure shall appear in the Notice of the Meeting. Financial Statement: The Treasurer shall prepare a financial statement to be presented at the Annual General Meeting. Conduct of Meetings: The rules contained in the current edition of Robert’s Rules of Order Newly Revised shall govern the Club in all cases to which they are applicable and in which they are not inconsistent with the Constitution and these By-Laws. General Meetings: A General Meeting of the Club may only be called by the Executive Committee. The Executive Committee shall call a General Meeting at the signed request of at least twelve Adult Members. Annual General Meeting: The Annual General Meeting of the Club shall be held before May 31st in each fiscal year, at a place and time to be decided by the Executive Committee. Notice of Meeting: Notice of the Annual General Meeting or any General Meeting shall be made to all Club members at least two weeks prior to its scheduled occurrence. 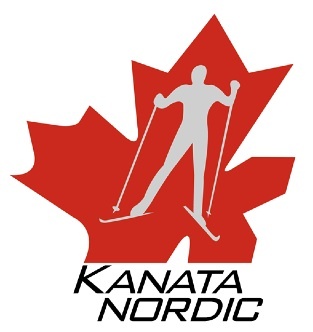 Acceptable forms of notice shall be an e-mail to all members or an announcement on the Club website (www.kanataxcski.ca). The Notice of the Meeting shall provide a brief summary of any intent to repeal, amend, or add to the Constitution or ByLaws. Quorum: The quorum for the Annual General Meeting or a General Meeting shall be eight Adult Members, of which at least five must be members of the Executive Committee. Voting of Members: Each Adult Member present at a meeting shall have the right to exercise one vote. Every motion shall be determined by a majority of votes unless otherwise specifically provided by statute, by the Constitution, or by these By-Laws. Repeal and Replacement: Effective upon the approval of these ByLaws, all other ByLaws are repealed and replaced by these By-Laws. By-laws updated following the General Meeting of November 5, 2018.